Cuyahoga Valley National Park is among the smallest and the newest parks in the system, but don’t let its diminutive size or recently elevated status fool you. Cuyahoga Valley is a testament to local conservation, a living example of the benefits of habitat restoration, and a site of significant cultural history and preservation. Many visitors from nearby urban areas enjoy the park for its hiking and biking trails, as well as its ample winter attractions, such as snowshoeing, cross-country skiing and ice fishing. The area’s rich history stems from the early days of westward American expansion, when the Ohio & Erie Canal brought industry and a subsequent population boom to a region of frontier farmsteads. Its well-preserved 19th century villages, such as Peninsula, are robust with examples of period architecture. The park boasts diverse ecosystems that are home to a wide variety of wildlife. About 240 bird species have been identified in the park. Its wetlands — created to a great extent by the tireless efforts of a reintroduced species, the beaver — are a well-known habitat of the Great Blue Heron. 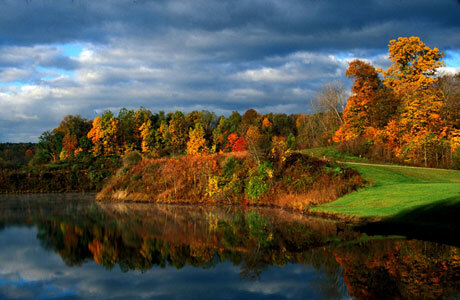 Cuyahoga Valley National Park packs a lot into its 51 square miles. Come experience why more than two million people visit every year. Click to see a detailed Cuyahoga Valley National Park map.